Sony has released a new firmware update for the A77 MK II A-mount camera. Firmware update version 2.0 now available for download worldwide. Sony A77 M2 new firmware update improves autofocus up to 2.5 times faster at low light and add XAVC-S recording feature to the A-mount camera. XAVC-S recording is a great move by the company for the current A77 II users. The new firmware update details can be seen below for the Sony A77 Mark II A-mount camera. Enables shooting movies in 50p/25p (PAL mode) and 60p/30p/24p (NTSC mode) in XAVC S format that supports high bit rates* When shooting a movie in the XAVC S format, ensure that an SDXC card of Class 10 or faster is used after formatting the card using the unit updated with the system software. If you format the memory card, all the data will be erased. Please ensure that the data on the card is backed up before formatting. * Refer to the Help Guide for the details of XAVC S movie shooting features. Download Sony A77 Mark II firmware update 2.0 from Sony USA, Sony UK, Sony Germany and Sony Australia. 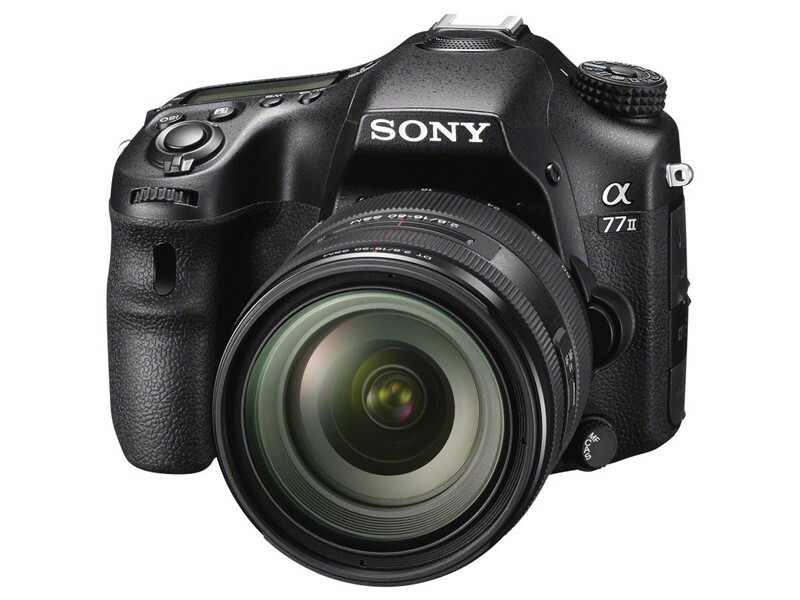 The Sony A77 II features a 24.3 megapixel Exmor CMOS image sensor with an ISO range of 100-25600. The A77 Mark II comes with a 79 point phase detection AF system with 15 cross points and delivers ultra-fast, intelligent AF tracking and up to 12 fps burst of up to 60 full-resolution frames.